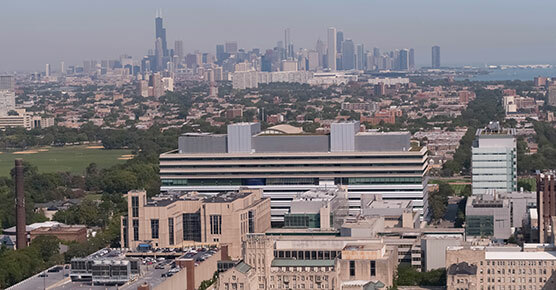 The administrative fellowship at the University of Chicago Medicine serves to foster future health care leaders through opportunities to strengthen their understanding of hospital operations and management at an academic medical center. In this two-year program, fellows are mentored by and report to the chief operating officer. Fellows will also be assigned to a past fellow to connect with as an additional resource and guide throughout the two years. Fellows are each paired with members of the senior leadership team for approximately two to four weeks at a time to receive mentoring and guidance within their respective departments. In these rotations, fellows are partnered with directors who will meet with them on a one-on-one basis to review project work, communicate feedback on their experience and help navigate within the organization. Learn more about the fellowship's structure. 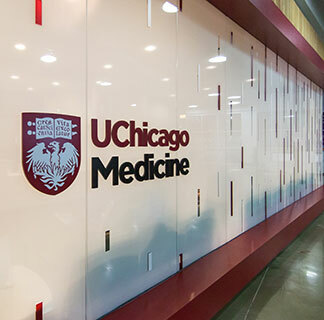 UChicago Medicine will consider applications from all qualified candidates, but we do not sponsor work visas for administrative fellows. Qualified applicants will have a master’s degree from an accredited MHA, MPH, MBA or a related program, a strong interest in health care administration and high leadership potential. Learn how to apply to the fellowship. Brianna Brooks (2018-2020) is from Carmel, Indiana, and earned her MPH in Maternal and Child Health from Boston University School of Public Health in 2018. She obtained her B.S. in Health Science with a minor in Spanish from Boston University in 2017. During her time in graduate school, Brianna completed an internship with the Massachusetts Department of Public Health where she developed a process to update the state health assessment and improvement plan. Brianna also participated in a quality improvement project for the Cambridge Health Alliance where she helped analyze the referral process for the Inpatient Child & Adolescent Psychiatry Department. Additionally, she worked at Boston Medical Center, the largest safety-net hospital in New England. Her professional interests include quality improvement as well as maternal and child health. Blake Dobrich (2018-2020) is from DePue, Illinois, a small rural town in north central Illinois. Blake obtained his MS in Health Systems Management from Rush University Medical Center in 2018. While in graduate school, Blake completed administrative internships at Rush University Children's Hospital and at the University of Colorado Hospital. Prior to earning his master's, he received his BA in Political Science at Marquette University in Milwaukee, Wisconsin. Additionally, he has served as an intern for U.S. Senator Richard J. Durbin in Washington, D.C. Blake's professional interests include health policy, children's healthcare, and making a difference in the care of others. Brianna Solola (2017-2019) is from Northwest Indiana and received her MS in Health Systems Management from Rush University Medical Center in 2017. While at Rush, Brianna completed an administrative internship in employee and organizational development and served as a project manager for the Division of Cardiology. Prior to graduate school, Brianna earned her BS in health care management and policy at Indiana University-Bloomington. Additionally, she has completed internships at UNC Health Care and Cook Medical, a private manufacturer of medical devices. Brianna’s professional interests include hospital operations, community health, and strategic planning. 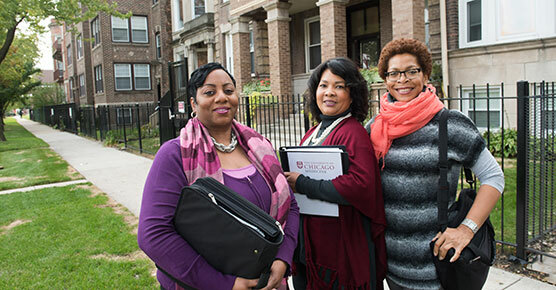 Learn more about how to apply for the administrative fellowship, including necessary materials, important deadlines and contact information.